CUIT is now on Steam! Finally! 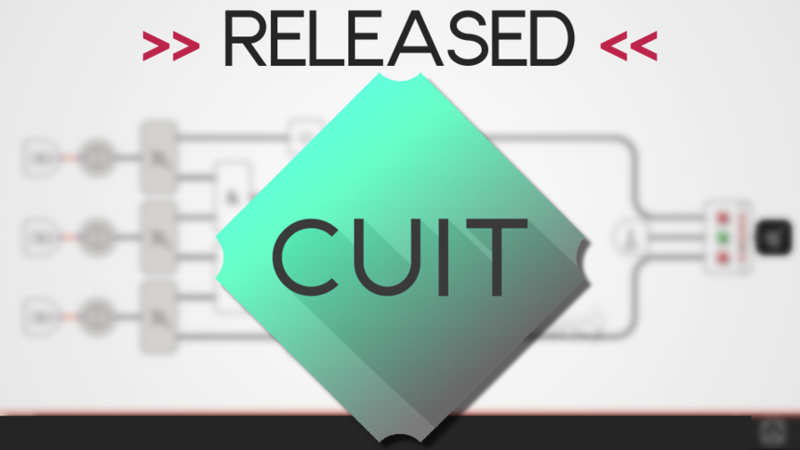 Cuit is now on Steam. If you haven't heard of Cuit yet: It's a puzzle game and a challenging one. You are given a circuit - interact with it and navigate a current to a special destination. Just make sure to not trigger any of the explosives on your way there, or you'll have to start all over again. My goal with Cuit always was to create a challenge, but a relaxing one. A game to test your mind but in a relaxed and chilled atmosphere, for when you just want to calm down and maybe don't need any boom boom action right now. Cuit also features an integrated level builder and Steam Workshop support. Feel free to ask my any questions, I am happy to start a conversation!